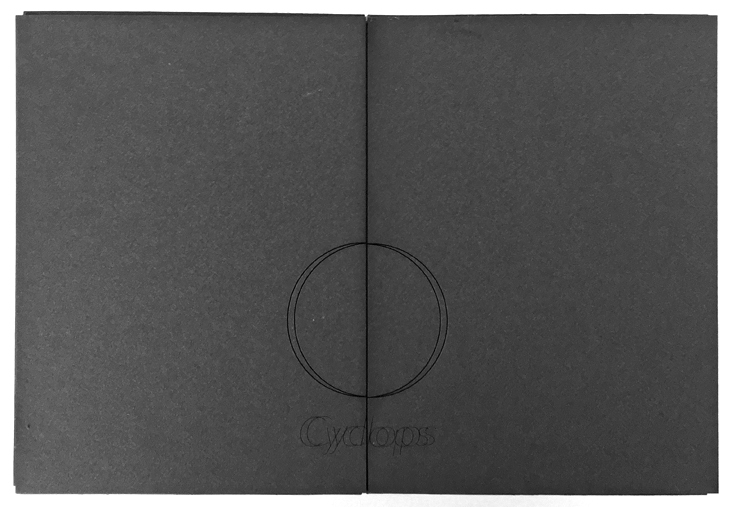 During a residency at the Center for Book Arts, New York, I created a book form of stereoscopic poems, titled Cyclops, Vol.1: A Parade & 4 Dreams. 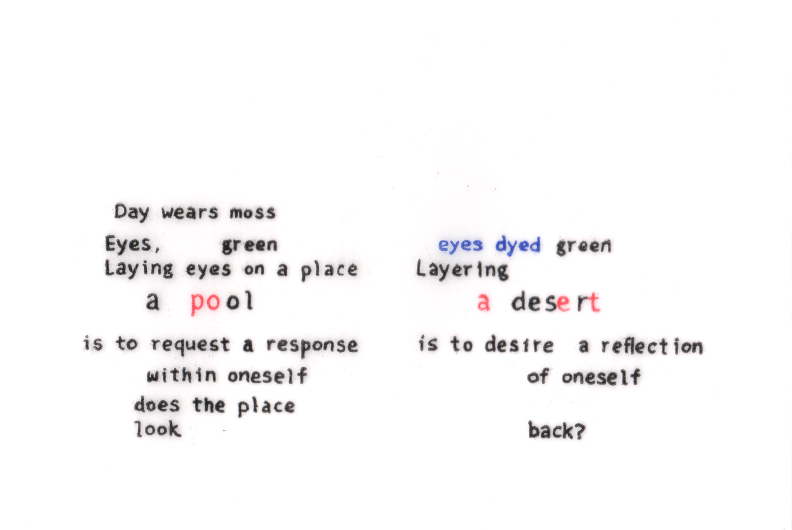 Each poem, composed in a diptych format, delivers sometimes divergent versions of content as the reader’s eyes adjust to the stereoscopic viewer. The process of adjustment to the viewer turns the reader’s attention back onto their own binocular vision, a biological trait of predatory animals to perceive depth while on the hunt. 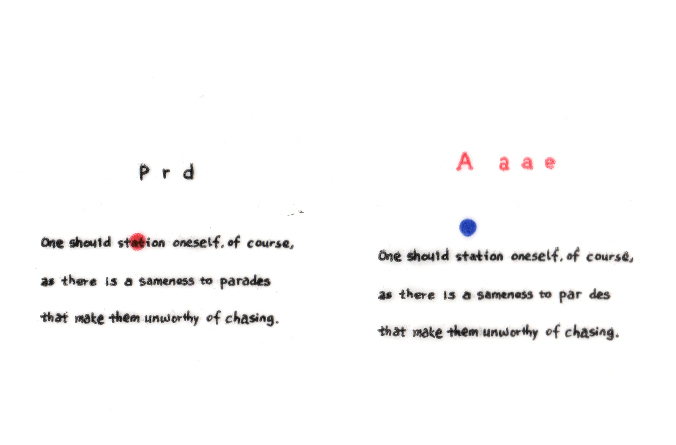 In this case, the reader’s eyes end up hunting, or dissecting, a book of poems. 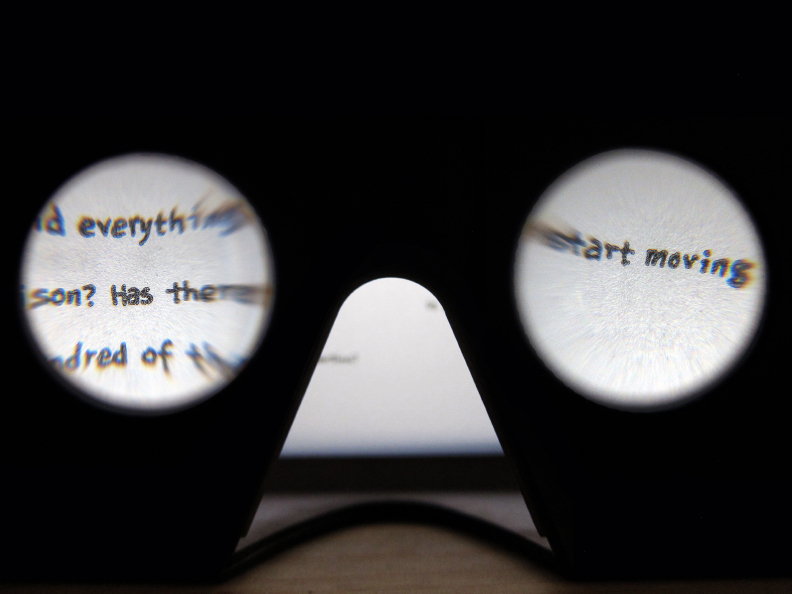 The work is also a reflection on reading as an immersive experience, the technological lineage of stereoscopic viewing devices, and the virtual-reality headsets now considered by many to be the future of moving-image art and entertainment.